Seeing all of them drive round will probably make me want one even more... Sadly not "rich" enough to get one. I know the feeling. Do you think it will lose some it's appeal in the fact that there will be loads of them about? Looking really good imo, I know I'm going to want one. I wish I could afford one to be honest, I would love one of these as a toy! I don't think so (didn't happen with the Toyota 86 really), I think a lot of its success will depend upon how competitively they price it. Hmmm I wonder how many of the V8 versions will be sold over here!? As much as the V8 might be nice, I know being realistic I would only pick up something like a 2.0 Ecoboost. I think that would be a great engine for the Mustang (in Europe at least), heck even a 1.6 Ecoboost might have a high enough output by then. It needs to compete with the likes of the GT86/BRZ imo, not be stupid £30k+ for the basic model. I'd like it to be around the £25k mark. top tip there by James! :) we have to many corners for the Mustang haha , yes they are very nice and i'd love one if i won the lottery. Maybe we should all pitch in as a group, and buy one, and we can share the car on different days, etc. haha, Nice try Steve, but I have designated myself the forum's Stig (just now) and I feel that its my duty and life to ensure that all forum members are safe and sound (its part of the unknown, unwritten, unheard Moderator code of practice) which means that unfortunately I will have to put my life on the line to make sure your all safe. Haha I think management may have to squeeze in there first. You know, just to make sure it's safe for the moderators!! hehe ;) and let the battles commence! however, I think its safer that I take the fall on this one, if you and Steve had anything bad happen to you, who would update the forum? know all the passwords? I dont think we can take that risk. I am here mainly to move posts, stop swearing and look busy, I think I should definitely be the one to take responsibility and the risk! at a mere 50,000 dollars, all we need to do is sell our own personal cars, lungs, kidneys or livers and club together to buy a fraction of a share in the car? whose with me? I just hope they get the price point right, I am really going to want one, and I bet there is going to be a bit of a wait/queue! I think they need to aim for the Pug RCZ and GT86/BRZ price point. Both are great value coupes, but I don't see one around every corner. Very true! May tempt people away from the scirroco too! RCZ is icky, icky, icky. Looks like a blimp that went limp. I prefer the classic Mustang's if honest, just they're pricey somewhat. For those saying it should compete with the brz/gt86 price wise, personally I think ford will be aiming more at the a5/3series/C class with the mustang as I've seen a rumour that there will be a large (3.0?) diesel, and size wise, it's not a small car, it's about the same size/ shape of the coupe variants mentioned above. 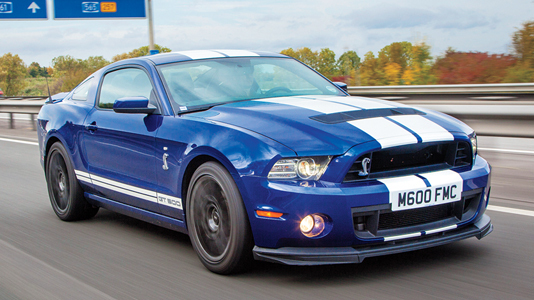 A well spec'd A5 coupe 3.0 tdi can cost £45000 so I doubt the mustang will be cheap. Probably not in the 40-50K bracket but not far off. The mustang has always been an affordable car though. Just look at Ford.com and the price compares to a Focus ST.
Yeah I know where your coming from with the current generation being low prices for what you get, but think of all the re-engineering that's gone into this one as it's a new car from the ground up, plus the 'old fashioned' rear axle is cheaper than engineering the new Independent rear suspension, plus the cost of offering a RHD version. Plus European safety standards are a lot higher than the US, so with the focus ST it automatically met the US standards as it was designed in Europe. All in all the cost of all the quality improvements will probably have knock on effects in price, both state side and other markets. It's one of the reasons Ford hasn't bothered with a global conversion before.